Your order will ship MONDAY if placed in the next 2 hours 52 minutes . Enter your shipping address zip code to receive an instant delivery date estimate from UPS. Remington Premier Expander Sabot 12 Gauge Ammo 3" 437 Grain Slug for sale online at cheap discount prices with free shipping available on bulk 12 Gauge ammunition only at our online store TargetSportsUSA.com. Target Sports USA carries the entire line of Remington ammunition for sale online with free shipping on bulk ammo including this Remington Slugger 12 Gauge Ammo 3"437 Grain. Remington Premier Expander Sabot 12 Gauge Ammo 3"437 Grain Slug review offers the following information; With hard-hitting deer dropping performance, this Remington Express Slugger ammo will get you your trophy buck. Slightly oversized for great, smooth-bore shotgun performance it gives the hunter greater results and better sealing against the barrel for more consistent shot-to-shot velocities. Remington has the right ammo for any occasion. For hunting deer, they offer this 12 Gauge 3"437 Slug at 1500 feet per second. These superior shotgun shells give you the best possible performance with rifled slug, to take down more whitetails with ease. Give yourself the competitive advantage by loading up with this Remington Slugger ammo on your next hunting trip. 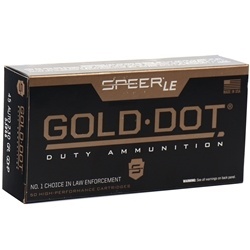 They are designed to improve accuracy by up to 25% as opposed to other rifled slugs. This 12 Gauge 3" shotgun ammo from Remington is a new production and is non-corrosive. Remington Slugger 12 Gauge ammo is packaged in boxes of 5 rounds and cases of 100 rounds. Free shipping is available on bulk case orders of this Remington ammo from Target Sports USA. This rifled slug gives the hunter greater results and better sealing against the barrel for more consistent shot-to-shot velocities. These superior shotgun shells give you the best possible performance with rifled slug, to take down more whitetails with ease. 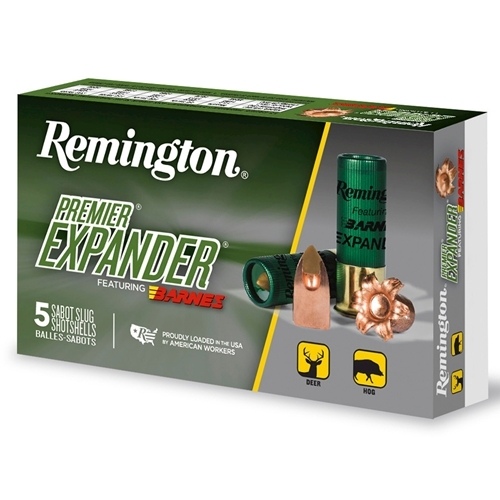 Remington Premier Expander Sabot 12 Gauge ammo is packaged in boxes of 5 rounds and cases of 100 rounds. Haven’t used them on a deer yet but they shot excellent when sighting in my 12ga.